‘Soledad Brother’ John Clutchette granted parole – will California Gov. Jerry Brown reverse the decision? On Jan. 12, 2018, the California Board of Parole Hearings granted parole to an elderly inmate named John Clutchette. However, supporters of parole for Clutchette are concerned that California Gov. Jerry Brown will reverse the board’s decision and Clutchette will not be released. Supporters have a reason to be concerned. After all, this is exactly what happened in 2016 when Clutchette was similarly granted parole by the board, but Gov. Brown chose to reverse the board’s ruling. Since Clutchette was ultimately acquitted of all charges in the Soledad Brothers case, Professor Bell argues that it is problematic for Gov. Brown to use this as his reason for reversing the Parole Board. In our interview, Bell further contextualizes Brown’s reference to the Soledad Brothers and identifies other troubling aspects of the case. Professor Bell concludes with a call to action, urging readers to contact California Gov. Jerry Brown and express their support for the California Board of Parole Hearings Jan. 12, 2018, decision granting parole to John Clutchette. A year ago, when we began our work on the case of Soledad Brother John Clutchette, we knew only that he was in custody and that he had some historical connection to the late George Jackson. The four law students who worked on this case sifted through volumes of dated Federal Bureau of Investigation (FBI) documents, numerous era-related court cases, news stories, books and interviews. They also conducted their own interviews. A3N: Last week, on Jan. 12, 2018, the California Board of Parole Hearings granted parole to Mr. Clutchette, but before he is actually released on parole, this ruling will now have to be affirmed by California Gov. Jerry Brown. In the past, Gov. Brown has rejected parole for Mr. Clutchette. On what grounds did he make this decision? 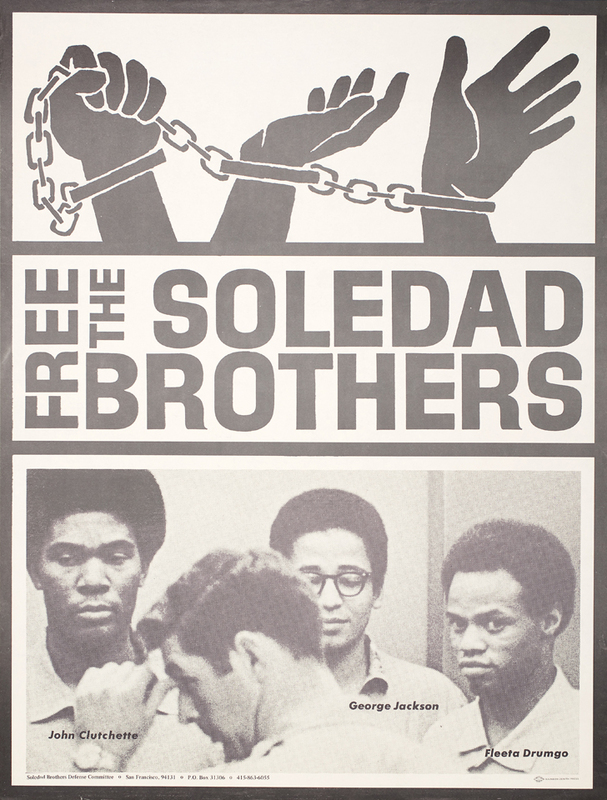 A photo of the Soledad Brothers, with John Clutchette on the left, was incorporated into this 1970 poster. “He [Clutchette] has told the Board many times that he was not and had never been a member of the Black Guerilla Family … Mr. Clutchette has been identified as a high-ranking and revered member of the gang since the 1970s and as recently as 2008. To appreciate our conclusions about this being an injustice and a human rights violation, Gov. Brown’s decision must be viewed within the larger context of this case. In the late 1960s and the early 1970s, the civil rights era was underway in the United States. Free citizens and inmates alike were demanding civil and human rights. At this moment in time, J. Edgar Hoover was leading the FBI. Through COINTELPRO, a clandestine intelligence program, Mr. Hoover sought to neutralize many activists, advocacy groups, dissident voices, artists and innocent citizens. His tactics were often unconstitutional and largely illegal. For over 47 long years, Mr. Hoover declared war on free expression, chilled speech, intimidated and bullied dissenters, meted out private punishments, invaded privacy rights and engaged in discriminatory law enforcement practices. The Black Panther Party (BPP) and the Black Guerilla Family (BGF) were two groups that Mr. Hoover had a particular disdain for. Mr. Hoover’s practices were successfully suppressed from the American public until 1975. The full extent of COINTELPRO harms have yet to be realized all these years removed. For over 47 long years, Mr. Hoover declared war on free expression, chilled speech, intimidated and bullied dissenters, meted out private punishments, invaded privacy rights and engaged in discriminatory law enforcement practices. The Black Panther Party (BPP) and the Black Guerilla Family (BGF) were two groups that Mr. Hoover had a particular disdain for. 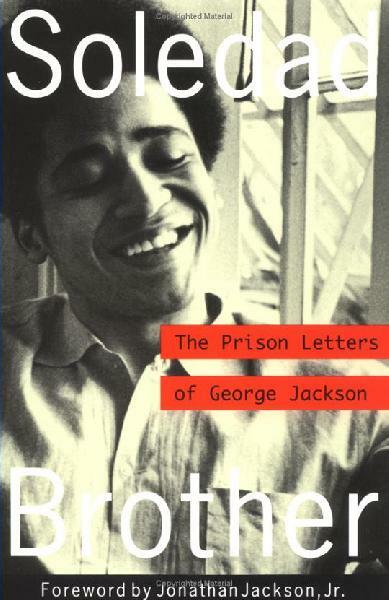 The late George Jackson is another prominent figure in Mr. Clutchette’s story. 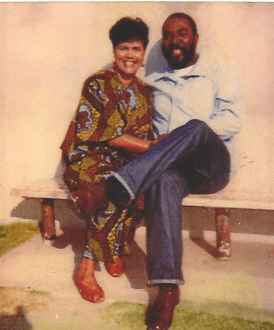 He was a successful organizer, an activist, the founder of the BGF, a member of the BPP and a respected prison intellectual. In 1970, he released “Soledad Brother,” a book that exposed prison conditions to a captive world audience. While this endeared legions of inmates and free people to him, this cemented his adversarial relationship with the prison staff and administration. His opposition extended beyond the prison gates. He was a target of Mr. Hoover’s COINTELPRO program. 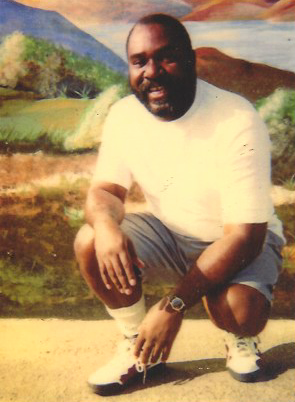 In the early 1970s, John Clutchette was incarcerated at California Correctional Training Facility at Soledad. He was housed in the “Y” wing on the tier with George Jackson. At the time, there were documented racial problems inside the facility, as well as allegations of excessive force and other abuses on the part of correctional officers. In this climate, three African American inmates were murdered by a white guard, African American inmate witnesses were not allowed to testify at trial and the officer was not prosecuted. Shortly thereafter, in January 1970, John Mills, a white prison guard was murdered in what some describe as an act of retaliation. George Jackson, John Clutchette and Fleeta Drumgo were accused of Officer Mills’ murder and subsequently indicted in February 1970. The trio became known as the “Soledad Brothers.” Mr. Clutchette was less than three months away from parole. Months later, in August 1970, heavily armed, 17-year-old Jonathan Jackson joined this cast of characters. Jonathan, George’s youngest brother, entered the Marin County Courthouse during a trial. Jonathan armed three prisoners before the group left with five hostages, which included the judge and district attorney. In an effort to stop the escape, officers killed Jonathan, the judge and two of the prisoners. A year later, in August 1971, George was killed by San Quentin prison guards, leaving his associates, however distant, to pay for his sins, both real and imagined. From all appearances, officials deemed the Soledad Brothers guilty on the day they were arrested and viewed the surrounding legal process as a mere formality – something akin to a pit stop on the way to their final destination toward literal or figurative death in prison. Fate would write another ending for John Clutchette. In February 1972, John Clutchette was acquitted by the all-white jury that presided over his case. 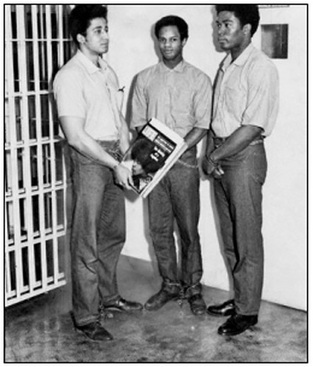 He further defied odds when he was granted parole on Nov. 13, 1972. John Clutchette remained a free man from 1972 until 1980 when he was placed in custody to stand trial for the murder of Robert Bowles. Mr. Bowles’ lifeless body was found in a parked car with two gunshot wounds to the head. Mr. Clutchette, then a substance abuser and a party to illicit drug operations, testified only to participating in the cover up of the murder. Despite his testimony, he was convicted of first degree murder. An indeterminate sentence of seven years to life was imposed. Two additional years were added for use of a weapon. AB: His written reasons suggest he used subjective, unvetted, unreliable information and inaccuracies from John Clutchette’s prison file. This includes statements from prison snitches, memoranda from confidential sources, statements from prison staff and the like. Many of the documents are self-serving. Others are little more than speculation. They are not the product of any vetting or credible or fact-finding process; yet they have been given the veracity of such. In 1997, the appellate court made this fact-finding: “We agree that Clutchette’s file contains false information. … [T]he Department voluntarily should expunge the false information from Clutchette’s file. Removing the false information from Clutchette’s file might avoid litigation each time Clutchette is considered for parole in the future.” Unfortunately, California officials undertook no such action, leaving the inaccuracies in place to fulfill the court’s prophecy about the potential for harm this false information could cause. California’s standards governing eligibility of Parole Board commissioners are high. The individuals who make parole decisions must have a broad background in criminal justice and experience or education in the fields of corrections, sociology, law, law enforcement, medicine, mental health or education. Additionally, they must fulfill rigorous, annual training requirements. Such a highly distinguished board thoroughly reviewed Mr. Clutchette’s prison record and determined some of the salacious contents not worthy of their use. Mr. Clutchette has paid for his past crimes. He is not a public threat. This is evidenced by the California Board of Parole Hearings granting him parole in 2003, 2015, 2016 and again on Jan. 12, 2018. Because of pending, parole-related litigation, Mr. Clutchette postponed at least seven parole suitability hearings, resulting in even more time in custody. He has been eligible for parole since 1988. The governor is wrong for his: 1) reliance on the false and unreliable information in Mr. Clutchette’s prison records; and, 2) display of an animus to, through the parole process, “sentence” or punish Mr. Clutchette for the 1970s Soledad murder that he was acquitted of, the 1970 Marin County Incident with which he was never charged and the 1971 Adjustment Center Incident with which he was never charged. Tragically, the governor’s decision to disregard the legal dictate that his actions be guided by some evidence of current dangerousness has come at the expense of an elderly man who is afflicted with a host of health problems. Worse, without intervention, Mr. Clutchette will never be able to establish his suitability for parole because these flawed records will always serve as a bar to his freedom – or can be used as such. Such decision-making is in conflict with California law, as well as human rights tenants. Mr. Clutchette has paid for his past crimes. He is not a public threat. This is evidenced by the California Board of Parole Hearings granting him parole in 2003, 2015, 2016 and again on Jan. 12, 2018. In each of those instances, the respective boards deemed many of the records in his file unreliable and consistently felt they did not amount to a showing of present dangerousness. In concert with all of this, Mr. Clutchette appeared before the parole board again on Jan. 12, 2018. He was once again granted parole. However, Mr. Clutchette will not actually be released on parole without Gov. Brown’s formal approval. AB: Brother Clutchette is approaching 75 years of age. He has lost too many years to this injustice. Readers have to become his voice at this critical time. They must create a theatre of agitation that makes elected officials uncomfortable abusing power and partaking in racial or social injustices. Officials need to know that political accountability will await them for doing so. Readers must make John Clutchette’s story a topic of robust discussion. Most importantly, they must speak their immediate opposition to Gov. Brown. Supporters can mail a written letter, send a fax, make a phone call, and/or send an email to his office. Be sure to include his prisoner ID number: C-23857. Elderly inmate John Clutchette (C-23857) was again granted parole on Jan. 12, 2018. I urge you not to oppose his release. Despite this, your reasons for opposing his release appear to involve your desire to punish Mr. Clutchette for these things, extrajudicially. If so, this is an abuse of your powers and it is a violation of California law and of human rights principles. Angola 3 News is a project of the International Coalition to Free the Angola 3. At our website, www.angola3news.com, we provide the latest news about the Angola 3. Additionally, we create our own media projects, which spotlight the issues central to the story of the Angola 3, like racism, repression, prisons, human rights, solitary confinement as torture and more. Send our brother some love and light: John Clutchette, C-23857, CSP Solano B7-139L, P.O. Box 4000, Vacaville CA 95696. I am happy to see that you are going to release Kilo Hero in next month and start of new year.It will be great if you come up with onsrbooks because they have good brands who evaluate well. Just wanna input that you have a very decent internet site, I love the design and style it actually stands out. Hmm it appears like your website ate my first comment (it was extremely long) so I guess I’ll just sum it up what I wrote and say, I’m thoroughly enjoying your blog. I as well am an aspiring blog writer but I’m still new to everything. Do you have any suggestions for rookie blog writers? I’d really appreciate it.